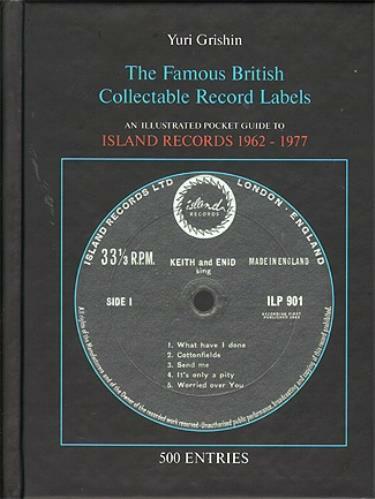 This Guide is meant for the experts and collectors & all who are interested in the history of Island Records, as well as those whose particular preference is for original pressings of the record albums that were issued in the UK in the 1960s and 1970s. The Guide features original issues only, and should come very handy in music shops and at record fairs. The Guide covers the period of Island Records' operation from 1962 to 1977. Island, Sue, Chrysalis, Bronze, Blue Thumb, Black Swan, The Pacific Arts, W.I.R.L., Banana Records ? Dragon.